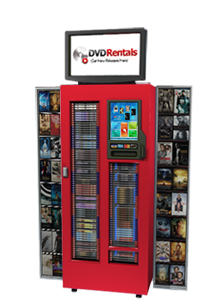 -Rental rates for DVD’s are $1.99/night and $2.50/night for Blu-Ray, plus tax. This applies to rentals up to 14 days. -Occasionally, movies are taken to non-COLUMBIA RIVER DVD machines. Often this is due to someone other than the renter in the family returning them, not realizing they belong to us. These turn into a default sale if not returned to our machine before the 15th day. If this is the case, please contact the other store managers or DVDExpress directly. If you are able to retrieve the movie in a reasonable timeframe, we will try to work with you for a partial refund, coupons, etc.